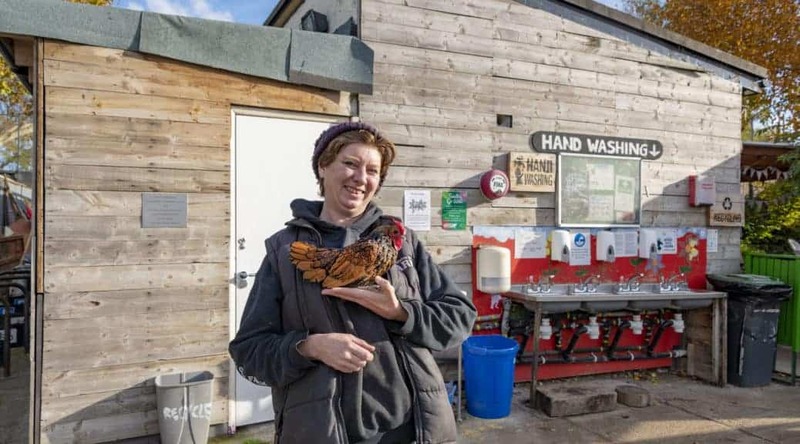 Spitalfields City Farm is a community area that is open 6 days a week for everyone, and has rare breed farm animals, gardens and a tree house. 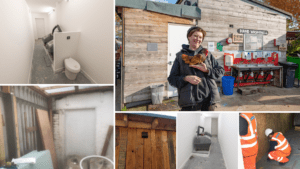 The John F Hunt team’s ongoing works have so far completely transformed a very basic structure built against the main farm building, into a bright, clean, toilet building for the convenience of the visitors to the farm. The plastic corrugated sheet roof was dismantled, the facia boards and guttering fixed and a new side wall built to take the weight of the new roof. The inside was insulated, new cabling installed, with updated plumbing and an electric supply to the compost toilet. Pacific Construction Ltd, based in London very kindly donated 80% of the building materials so that this project could be completed, ready for use by the public. Previous PostPower and Concrete Cutting gain FORS Bronze Awards.Next PostJohn F Hunt Power growth in the North East demands bigger site!